Annual salary average for Facilities Coordinator position in Istanbul? Need your urgent support for the issue. 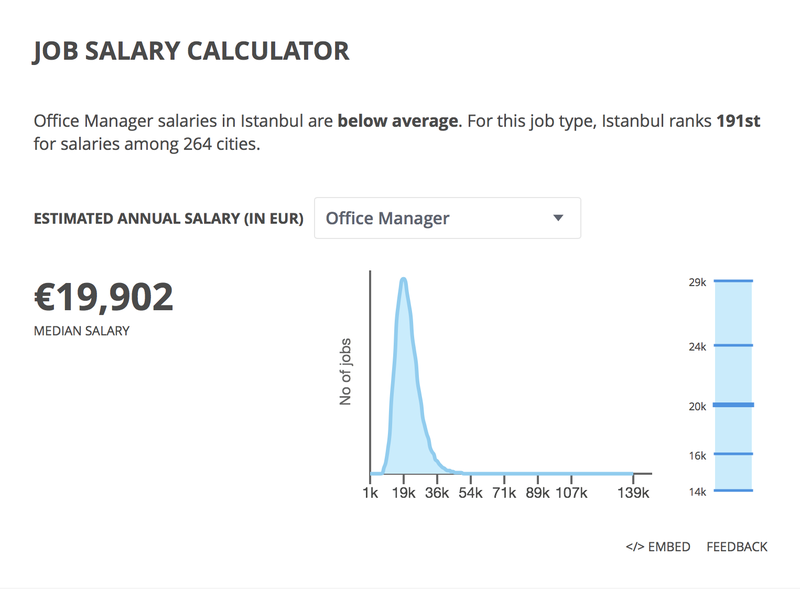 What is the average annual income of a Facilities Coordinator (or same position but different job title) in Istanbul? 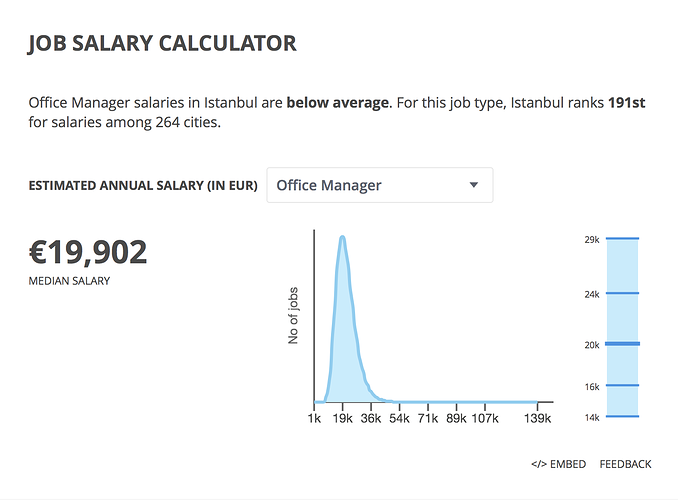 Maybe the Office Manager salary on Teleport's Istanbul Salaries page would be the closest proxy? I hope any of local users in Istanbul confirm!